You’re not alone if you are finding your “More Than Just Muscles” journey challenging. 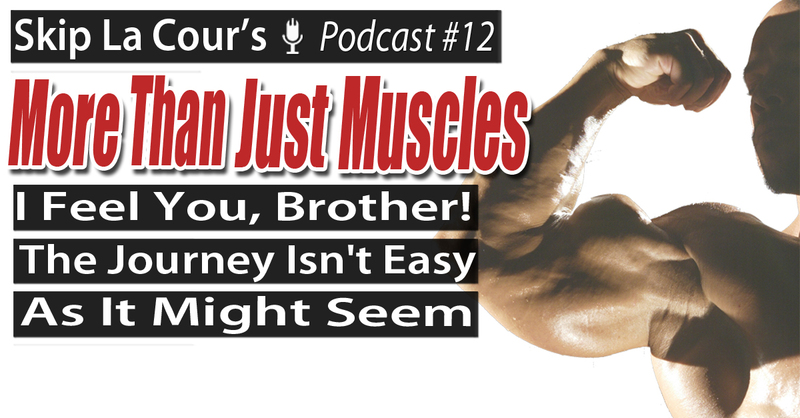 The More Than Just Muscles podcast is specifically designed to help dedicated bodybuilders who find themselves asking “Is this all there is?” from time to time no matter how great they look or how many people admire them. What to get on your path to become “More Than Just Muscles.” Go to www.SkipLaCourCoaching.com/more and explain why you absolutely must do so now in order to experience the overall quality of life your really want.